A Man of Great Forgiveness. A friend sent me the picture below, I thought it said it all. 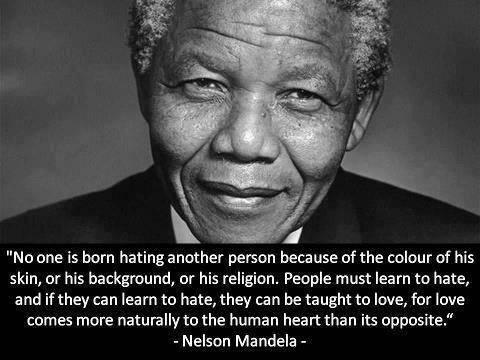 He was a wonderful man, who took forgiveness to another level. Yeah a truly amazing person, and I could definitely use his ability to forgive. His ability to forgive is what I think of when I hear his name. I am sure he must have had some faults, but they are eclipsed by the humility of the man. Would that everyone took this wonderful man's words to heart. He did do much with the time he had, and yes, he will be very sadly missed.